Originally published in Competition – The Journal of the Antitrust and Unfair Competition Law Section of the State Bar of California Vol. 24, No. 2 (Fall 2015). The four largest disposable contact lens manufacturers have, within months of each other, implemented minimum resale pricing policies that govern the sales of specific contact lens models. Given the unique prescription method and downstream distribution characteristics of the disposable contact lens industry, many contact lens retailers and consumers maintain that: (a) these policies are anticompetitive and have no legitimate procompetitive justification; and (b) both intrabrand and interbrand competition in the disposable contact lens relevant product market are severely limited as a direct result of these pricing policies. The disposable contact lens manufacturers now are facing claims that have been brought by retailers and disposable contact lens consumers under Section 1 of the federal Sherman Act and Section 16720 the California Cartwright Act. These actions allege that the policies implemented by the contact lens manufacturers are anticompetitive and unlawful. The manufacturers, on the other hand, argue that because the policies were implemented unilaterally, they are immune from antitrust liability. At bottom, each of the defendants contends that it unilaterally adopted a pricing policy imposing a minimum resale price and thereafter each defendant will deal only with those retailers who adhere to that policy. The defendants implicitly also argue that the fact that each of them simultaneously implemented similar retail price maintenance (RPM) programs represents nothing more than “conscious parallel conduct” which, as a matter of law, does not allow an inference of a conspiracy – i.e., their “conscious parallel conduct” is entirely consistent with unilateral action. Given that the defendants’ conduct is unilateral, according to the defendants, it matters not that the combined effect of their RPM policies may represent an anticompetitive and unreasonable restraint on interbrand competition. In 1911, the United States Supreme Court in Dr. Miles Med. Co. v. John D. Parker & Sons Co. held that an agreement between a manufacturer and its distributor establishing an RPM program was per se unlawful under Section 1 of the Sherman Act (15 U.S.C. § 1). In 1919, the United States Supreme Court in United States v. Colgate qualified Dr. Miles, and held that when a firm unilaterally announces its minimum retail pricing policy, and thereafter simply refuses to sell to distributors who do not comply, it is not subject to antitrust scrutiny under Section 1 of the Sherman Act. This has become known as the Colgate doctrine. In 2007, ninety six years after the Dr. Miles decision, the Supreme Court in Leegin Creative Leather Products, Inc. v. PSKS, Inc., reversed Dr. Miles, and announced that RPM agreements are no longer per se unlawful under the Sherman Act. Now, they are subject to the rule of reason analysis. Some now argue that because the Colgate doctrine merely offered a way to escape the per se condemnation of RPM agreements set forth in Dr. Miles, the Leegin holding may have limited the availability and application of the Colgate doctrine. This article suggests that Colgate is still good law and that the Leegin decision did not affect the ongoing viability of the Colgate doctrine. Thus, even if it is assumed that the contact lens manufacturers’ collective RPM policies are manifestly anticompetitive and lack any pro-competitive justification or redeeming value – e.g., there is no legitimate basis for arguing that the RPM policies promote the deterrence of free riding on reseller investments in presale promotional services – the Colgate doctrine still insulates the disposable contact lens manufacturers from antitrust liability as long as each manufacturer’s RPM policy was implemented unilaterally. Nevertheless, the Disposable Contact Lens Antitrust Litigation well may test that conclusion. The disposable contact lens industry is unique. By its very nature, the industry is highly susceptible to anticompetitive behavior. It is distinguished by five principal competitive characteristics. First, consumers must obtain written prescriptions from optometrists and ophthalmologists (eye care providers or “ECPs”) before they can purchase their contact lenses. Second, the ECPs perform eye exams and contact lens fittings and receive payment for both services. Because ECPs are paid separately for their eye exam and contact lens fitting services, they are not subject to free riding by discount rivals in connection with their sales of disposable contact lenses to their patients. Fourth, the industry is highly concentrated and dominated by four manufacturers – Cooper Vision, Inc.; Alcon Laboratories, Inc.; Bausch + Lomb; and Johnson & Johnson Vision Care, Inc. (J&J) (collectively the “Manufacturers”). Together, the Manufacturers comprise 97% of the relevant contact lens product market. Theoretically, when patients visit their ECPs and obtain prescriptions for their contact lenses, they can purchase their contact lenses from any retailer that sells the prescribed product and brand. These retailers include 1-800 CONTACTS and Costco. In practice, however, the ECPs apparently historically have declined to give their patients a copy of their contact lens prescriptions unless the patients purchase their disposable contact lenses directly from the prescribing ECP. Beginning in June 2013, each of the Manufacturers more or less simultaneously implemented so-called “unilateral pricing policies” (UPPs) on specific contact lens models. In general, the pricing policies identify the minimum retail price that retailers, including the ECPs, must charge consumers for specific models – e.g., ACUVUE® OASYS® Brand Contact Lenses (6 lenses per box) must have a minimum retail price of $34.00. The net price of any advertisement or bundled sale cannot be lower than the UPP set price. And, although the pricing policy is a UPP, it clearly is RPM. Because the four dominant disposable contact lens manufacturers each implemented so-called UPP policies in tandem, the collective effect of those policies very well may be nothing other than a purely anticompetitive effect on interbrand competition. On July 30, 2014, the Senate Committee on the Judiciary, Subcommittee on Antitrust, Competition Policy and Consumer Rights of the United States Senate held hearings on: “Pricing Policies and Competition in the Contact Lens Industry: Is What You See What You Get?” The Committee was concerned by the fact that all of the large contact lens manufacturers have adopted parallel so-called UPPs, and the effect on competition may well be manifestly anticompetitive without any procompetitive or other redeeming virtue. Alcon Laboratories, Inc. (“Alcon”) testified that the idea of implementing its UPP came from an Alcon employee. Alcon further testified that its purpose in implementing its UPP was to promote the investment of time by ECPs in learning about contact lenses without the fear of free riding retailers that do not have to prescribe the contacts. The Senate has taken no further action. Three months later, on October 24, 2014, the American Antitrust Institute (“AAI”) sent a letter to Chairwoman Ramirez of the FTC and to AAG Baer of the DOJ Antitrust Division. In its letter, the AAI argued that the Manufacturers’ UPPs are anticompetitive and have no procompetitive or redeeming virtue whatsoever. That very well may be so. Still, under Colgate, that is a necessary but not a sufficient underlying basis for asserting liability. There must be a showing of vertical concerted conduct or other evidence demonstrating some participation in a manufacturer cartel. Neither the FTC nor the DOJ has taken any action. During the past six months, these UPPs have triggered significant private litigation against the Manufacturers. On March 3, 2015, John Machikawa, Bernadette Goodfellow, and Georgina Lepe (“Consumers”) filed a putative class action against the Manufacturers and ABB, alleging violations of Section 1 of the Sherman Act and Section 16720 of the Cartwright Act. In their complaint, Consumers allege that the ECPs and ABB have long supported the adoption of the UPPs by the Manufacturers. Their allegations are based on publications and speeches given by ECPs in support of such policies. Consumers also point to a letter sent by J&J to the ECPs wherein J&J stated that the ECPs’ feedback was “instrumental in helping [J&J] create their enterprise strategy which included the new pricing strategy along with an invitation to continue giving feedback.” Angel Alvarez, the CEO and founder of ABB, also stated that “ABB has been working closely with manufacturers to develop [UPPs], which we believe enable a better overall patient experience by supporting competitiveness of prescribing practitioners.” ABB goes on to encourage ECPs to charge prices higher than UPPs. If true, then these allegations well may “tend to exclude the possibility of independent action by the [m]anufacturer.” And, if so, then the Consumers well may be able to allege and prove facts that give rise to a “contract, combination or conspiracy” between one or more of the Manufacturers and one or more of the ECPs. Under those circumstances, Colgate will not shield the Manufacturer(s) from liability for their alleged anticompetitive conduct. But that merely begs the question whether the Colgate doctrine itself remains alive and well. On March 6, 2015, Costco also filed a law suit against J&J alleging violations of Section 1 of the Sherman Act and Section 16720 of the Cartwright Act. Costco alleges that after J&J found that Costco was not complying with J&J’s RPM policy, J&J not only gave Costco time to comply, but also revised the RPM policy five times in order to permit Costco to mitigate its losses. On April 17, 2015, J&J filed a motion to dismiss, arguing in part that there was no showing of an agreement between it and the ECPs or distributors. As of the date of writing this article, that motion has not been decided. The state of Utah very recently passed legislation outlawing the implementation of these UPPs when the Utah Legislature amended its Contact Lens Consumer Protection Act by adding a provision which states that, “[a] contact lens manufacturer or a contact lens distributor may not: (1) take any action, by agreement, unilaterally, or otherwise, that has the effect of fixing or otherwise controlling the price that a contact lens retailer charges or advertises for contact lenses . . . .” (the “Amended CLCPA”) (emphasis added). The case is currently before the Court of Appeals for the Tenth Circuit. (3) which actually injures competition. (emphasis supplied). [F]rom the course of conduct a court may infer, indeed cannot escape the conclusion, that competition among retail distributors is practically suppressed . . . by methods in which the company secures the cooperation of its distributors and customers, which are quite as effectual as agreements express or implied intended to accomplish the same purpose. In Beech-Nut Packing Co., the manufacturer refused to sell to wholesalers that sold to discounting retailers, instituted a reporting system, and reinstated discounting retailers who subsequently agreed to abide by the minimum prices. Finding an agreement, the Court announced that an express agreement was not necessary to satisfy the first prong of Section 1 and that reinstating recalcitrant retailers can amount to establishing an agreement. Instead, “plus-factors,” as they later became known, could be used to infer a tacit agreement. Monsanto Co. v. Spray-Rite Serv. Corp. (1984): In Monsanto Co. v. Spray-Rite Serv. Corp., the manufacturer terminated Spray-Rite’s distributorship agreement after receiving complaints from competing distributors about Spray-Rite’s low prices. In holding that a jury properly could find an agreement to establish concerted action, the Court relied on “direct evidence of agreements to maintain prices.” The Court expressed its concern, however, that if an inference of an agreement “may be drawn from highly ambiguous evidence, there is considerable danger that the [Colgate doctrine] will be seriously eroded.” Instead, “there must be evidence that tends to exclude the possibility of independent action by the manufacturer. That is, there must be direct or circumstantial evidence that reasonably tends to prove that the manufacturer and others had a conscious commitment to a common scheme designed to achieve an unlawful objective.” The Monsanto Court thereby expressly emphasized and endorsed the continued vitality of the Colgate doctrine. California courts first applied the Colgate doctrine to the Cartwright Act in R.E. Spriggs Co. v. Adolph Coors Co. Although it expressly adopted the Colgate doctrine, the Court of Appeal of California found that it was not applicable where Coors had adopted an RPM policy, but also thereafter attempted to convince its retailers and distributors to abide by the pricing policy. The Court recognized that part of Coors’ pricing policy was drafted to stay within the Colgate protections, but focused on the practical implications of the conduct of the parties to make its decision. The Court went on to find Coors liable for entering into agreements to control retail prices. In Chavez v. Whirlpool Corp., the Court of Appeal of California, again recognized that the Colgate doctrine is alive and well under the Cartwright Act. The Court applied the Colgate doctrine where Whirlpool merely announced a “KitchenAid Unilateral Price Policy.” Acknowledging the importance of the Colgate doctrine in California, the Court made clear that if “measures to monitor compliance that do not interfere with the dealers’ freedom of choice” are not protected, the announced policy would be rendered ineffective and the Colgate doctrine would be undermined. The seemingly straightforward Colgate doctrine has sparked a great deal of “fact intensive” litigation that necessarily looks to conduct by the manufacturer relating to the enforcement of its mandatory vertical pricing policy. And, although the Supreme Court has said that there is an “obvious difference” between a unilateral RPM policy and an RPM agreement, subsequent cases have demonstrated that the difference is neither simple nor “obvious.” An express agreement is not required because courts look to the practical implications of the conduct of the parties. And, courts have recognized that including language in the policy to make it sound like a Colgate policy does not by itself avoid liability. Under Colgate, the manufacturer can announce its resale prices in advance and refuse to deal with those who fail to comply. And a distributor is free to acquiesce in the manufacturer’s demand in order to avoid termination. . . . [T]here must be evidence that tends to exclude the possibility of independent action by the manufacturer. Enforcing the policy without stepping over the line is tricky business. “Courts have long distinguished between a manufacturer that takes affirmative action to ensure compliance with its pricing policies (unlawful) and a manufacturer that merely announces such a policy (lawful)” and thereafter enforces it simply by refusing to deal with those who do not abide by it. For example, a manufacturer may not maintain prices through the “cooperation” of its distributors, such as by enlisting dealers and other agents to report which retailers are not abiding by the policy, and then putting them on a list of undesirable retailers, only to reinstate them after receiving satisfactory assurances that the retailers will follow the manufacturer’s RPM policy. Similarly, a manufacturer may not use a wholesaler to enforce its RPM policy against recalcitrant retailers by providing the wholesalers with a list of retailers and then refusing to deal with wholesalers who distribute to them. The Leegin Court expressly recognized that a “manufacturer has a number of legitimate options to achieve benefits similar to those provided by vertical price restraints.” Among those options, according to the Court, is the “right to refuse to deal with retailers that do not follow its suggested prices.” Even the dissent in Leegin understood and recognized that, following Leegin, “Colgate would remain good law [even] with respect to unreasonable price maintenance.” Consequently, although the per se condemnation announced in Dr. Miles did not survive Leegin, the Colgate doctrine remains in effect. Since Leegin was decided in 2007, courts implicitly have recognized that Colgate still is good law. In N. Tex. Speciality Physicians v. FTC, an organization of independent physicians took a poll of its member physicians to collect the minimum price they would take for treatment contracts with payers, such as insurance companies. The Fifth Circuit recognized that unilateral conduct would evade illegality under the antitrust laws, but declined to apply it to the conduct of the NTSP. Likewise, in In re Pool Products Distribution Market Antitrust Litigation, the United States District Court for the Eastern District of Louisiana recognized Colgate as good law, but refused to apply it where the pool products distributor had agreements with manufacturers to set prices and exclude competing distributors. Furthermore, even the FTC, Bureau of Competition, has recognized Colgate as good law. For example, the number of manufacturers that make use of the practice in a given industry can provide important instruction. When only a few manufacturers lacking market power adopt the practice, there is little likelihood it is facilitating a manufacturer cartel, for a cartel then can be undercut by rival manufacturers. [But r]esale price maintenance should be subject to more careful scrutiny, by contrast, if many competing manufacturers adopt the practice. (emphasis supplied). As implausible as it may sound, if the dominant manufacturers in a highly concentrated industry do in fact unilaterally implement vertical price fixing policies, then Colgate will shield their vertical price restrictions from liability under Section 1 of the Sherman Act and Section 16720 of the Cartwright Act. The issue is not whether the collective RPM policies are anticompetitive and represent unreasonable restraints lacking any procompetitive justification. Indeed, it very well may be that they are nothing more than abject restrictions that “always or almost always tend to restrict competition and decrease output.” This, however, does not mean that either the Sherman Act or the Cartwright Act has been violated. Indeed, the Colgate court itself recognized and acknowledged this paradox. The Colgate doctrine is alive and well. This means that if each of the Manufacturers in the Disposable Contact Lens Antitrust Litigation (a) has not acted in concert with the other Manufacturers in the facilitation of a manufacturer cartel; and (b) has acted unilaterally in the implementation of its RPM policy – as improbable as that may seem – then none of them have violated either Section 1 of the Sherman Act or Section 16720 of the Cartwright Act. Paradoxically, notwithstanding that collectively their so-called UPP vertical price restraints have “manifestly anticompetitive effects” on interbrand competition and may “lack any redeeming virtue,” their “unilateral” conduct does not fall within the ambit of the antitrust laws. Stated somewhat differently, absent evidence of a horizontal conspiracy or manufacturer cartel, if each Manufacturer is in fact setting its prices at a supracompetitive level by merely recognizing its shared economic interest and interdependence with respect to price and output determinations in this concentrated market – i.e., each is participating in the process of “conscious parallelism” – then no antitrust liability will attach to any of the Manufacturers. 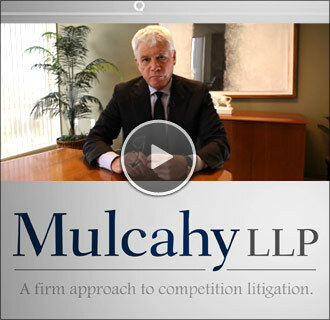 * James M. Mulcahy is the managing partner of Mulcahy LLP, a boutique firm specializing in competition litigation. 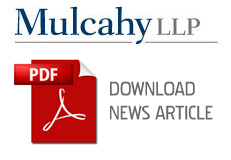 Mr. Mulcahy is a past co-chair of the State Bar Business Law Section Franchise Law Committee and currently serves as an appointed member of the Franchise and Distribution Law Advisory Commission of the State Bar of California Board of Legal Specialization. Filemon Carrillo is a third year law student at The George Washington University Law School and is a Summer Associate at Mulcahy, LLP. Mr. Carrillo serves as the Editor-in-Chief of The Federal Circuit Bar Journal, Volume 25. They are (1) Cooper Vision, Inc.; (2) Alcon Laboratories, Inc.; (3) Bausch & Lomb; and (4) Johnson & Johnson Vision Care, Inc. Together, they allegedly control 97% of the disposable contact lens relevant product market. When all competing manufacturers adopt minimum resale price maintenance policies, sales are not shifted from one manufacturer to another. The end result is higher prices and elevated gross profit margins for all manufacturers. 15 U.S.C. § 1; Cal. Bus. & Prof. Code § 16720. See generally In re: Disposable Contact Lens Antitrust Litigation, Transfer Order, MDL No. 2626 (J.P.M.L. June 8, 2015). As of this writing, there are 56 law suits pending against the Manufacturers. The United States Judicial Panel on Multidistrict Litigation has consolidated seven of these cases and recently transferred the cases to the Middle District of Florida. See United States v. Colgate, 250 U.S. 300 (1919). See Matsushita Elec. Indus. Co. v. Zenith Radio Corp., 475 U.S. 574, 588 (1986); see also Brooke Grp. v. Brown & Williamson Tobacco Corp., 509 U.S. 209, 227 (1993) (“conscious parallelism, describes the process, not in itself unlawful, by which firms in a concentrated market might in effect share monopoly power, setting their prices at a profit-maximizing, supracompetitive level by recognizing their shared economic interests and their interdependence with respect to price and output decisions”); Ralph C. Wilson Indus., Inc. v. Chronicle Broad. Co., 794 F.2d 1359, 1365 (9th Cir. 1986) (“We have held that the mere existence of parallel conduct is insufficient to establish a conspiracy.”); City of Tuscaloosa v. Harcros Chems., 158 F.3d 548, 570 (11th Cir. 1998) (“It is well settled in this circuit that evidence of conscious parallelism [alone] does not permit an inference of conspiracy unless the plaintiff establishes that, assuming there is no conspiracy, each defendant engaging in the parallel action acted contrary to its economic self-interest.” (citations omitted)). See, e.g., The Jeanery, Inc. v James Jeans, Inc. 849 F.2d 1148, 1152 (9th Cir. 1988) (unilateral conduct by a single entity, “even if it appears to restrain trade unreasonably, is not unlawful” under the Sherman Act) (internal quotation marks omitted). Dr. Miles Med. Co. v. John D. Parker & Sons Co., 220 U.S. 373, 404 (1911). United States v. Colgate, 250 U.S. 300 (1919). See Leegin, 551 U.S. at 899. Note that the California per se condemnation of RPM agreements under the Cartwright Act announced in Mailand v. Burckle, 20 Cal. 2d 367 (Cal. 1978) has survived the Leegin holding. See Alsheikh v. Superior Court, 2013 Cal. App. Unpub. LEXIS 7187, *10 (Cal. App. 2d Dist. Oct. 7, 2013). See Machikawa et al. v. Cooper Vision, Inc. et al., No. 15-CV-01001-HSG, Compl. ¶ 4 (N.D. Cal, Mar. 3, 2015) (“Machikawa Compl.”). See Miller et al. v. Alcon Laboratories, Inc. et al., No. 15-cv-01028-HSG, Compl. ¶ 49 (N.D. Cal. Mar. 4, 2015). 15 U.S.C. § 7601 et seq. (2012). See Atlantic Richfield Co. v USA Petroleum Co, 495 U.S. 328, 338 (1990). See Leegin, 551 U.S. at 895. Machikawa Compl. Ex. E (“Acuvue Brand Contact Lenses: Unilateral Price Policy – Cub Store Retailer Amendment”). United States Senate Committee on the Judiciary, Pricing Policies and Competition in the Contact Lens Industry: Is What You See What You Get? (“Senate Hearing”) available at http://www.judiciary.senate.gov/meetings/pricing-polices-and-competition-in-the-contact-lens-industry-is-what-you-see-what-you-get. See Testimony of Dr. Millicent L. Knight, Johnson & Johnson Vision Care, North America at 1, July 30, 2014 http://www.judiciary.senate.gov/meetings/pricing-polices-and-competition-in-the-contact-lens-industry-is-what-you-see-what-you-get (J&J Testimony). See Written Statement of Alcon Laboratories, Inc. Before the Subcommittee on Antitrust of the Senate Committee on the Judiciary at 2, July 30, 2014 Klobuchar Record Submission at 2, http://www.judiciary.senate.gov/meetings/pricing-polices-and-competition-in-the-contact-lens-industry-is-what-you-see-what-you-get. Letter from The American Antitrust Institute to Chairwoman Ramirez and AAG Baer, October 24, 2014, http://www.antitrustinstitute.org/sites/default/files/AAI%20Letter%20on%20RPM%20in%20Contact%20Lenses.pdf. 15 U.S.C. § 1; Cal. Bus. & Prof. Code § 16720. The Machikawa Complaint reflects the same general allegations and claims in many of the other 56 cases filed on behalf of consumers. See generally Machikawa et al. v. Cooper Vision, Inc. et al., No. 15-CV-01001-HSG (N.D. Cal, Mar. 3, 2015) (“Machikawa Compl.”); See Miller et al. v. Alcon Laboratories, Inc. et al., No. 15-cv-01028-HSG, Compl. ¶ 49 (N.D. Cal. Mar. 4, 2015) (“Miller Compl.”). See Machikawa Compl. ¶¶ 91-107. See Machikawa Compl. ¶ 98. See Machikawa Compl. ¶ 102. See Machikawa Compl. ¶ 105. See Machikawa Compl. ¶ 84. See Machikawa Compl. ¶ 89. Consumers also allege that the Manufacturers agreed to implement the UPPs. Without more, these types of conclusory allegations are not sufficient to allege a valid cause of action. Bell Atl. Corp. v Twombly, 550 U.S. 544, 553-58 (2006). Of course, any agreement between the manufacturers would constitute a horizontal conspiracy, and Colgate would not apply. Instead, the price agreement would constitute a per se violation of Section 1 of the Sherman Act and Section 16720 of the Cartwright Act. See Machikawa Compl. ¶¶ 108-17. See Monsanto Co. v Spray-Rite Serv. Corp., 465 U.S. 752, 768 (1984). See generally Costco Wholesale Corp. v. Johnson & Johnson Vision Care, Inc., No. 15-CV-00941-HSG (N.D. Cal, Mar. 6, 2015) (“Costco Compl.”). See Costco Compl. ¶¶ 53-60. See Utah Code Ann. § 58-16a-905.1. Other states, including California, have proposed similar legislation. Alcon Laboratories, Inc. v. Reyes, No. 2:15-cv-252-DB, Order at 7 (D. Utah, May 11, 2015) (order denying temporary injunction). Alcon Laboratories, Inc. v. Reyes, No. 2:15-cv-252-DB, Order at 9 (D. Utah, May 11, 2015) (order denying temporary injunction). Kendall v. Visa U.S.A., Inc., 518 F.3d 1042, 1047 (9th Cir. 2008) (citing Bell Atl. Corp. v. Twombly, 550 U.S. 544, 553-58 (2006)) (emphasis added). To plead a valid claim under the Cartwright Act, a claimant must plead that a defendant (1) participated in the formation and operation of an agreement to restrain trade; (2) engaged in illegal acts with the purpose of furthering that agreement; and (3) caused the plaintiff damage as a result of those acts. See Cartwright Act, Bus. & Prof. § 16720; see also Smith v. State Farm Mutual Auto. Ins. Co., 93 Cal. App. 4th 700, 721-22 (Cal. App. 4th Dist. 2001); Quelimane Co. v. Stewart Title Guar. Co., 19 Cal. 4th 26, 48-49 (1998). Bus. Elecs. Corp. v. Sharp Elecs. Corp., 485 U.S. 717, 723 (1988) (quoting Nw. Wholesale Stationers Inc. v. Pacific Stationery & Printing Co., 472 U.S. 284, 289-90 (1985); Fisher v. City of Berkeley, 37 Cal. 3d 644, 668, 670-71 n.20-21 (Cal. 1984). See generally United States v. Colgate, 250 U.S. 300 (1919). See also, The Jeanery, Inc. v James Jeans, Inc., 849 F.2d 1148, 1152 (9th Cir. 1988). But too, a Colgate policy may face Section 2 liability which reaches unilateral conduct where there is a danger of monopolization. See 15 U.S.C § 2 (2012). Chavez v. Whirlpool Corp., 93 Cal. App. 4th 363, 369 (Cal. App. 2d 2001). 94 Cal. App. 3d 419 (Cal. App. 2nd Dist. 1979). Furthermore, note that the California per se condemnation of RPM agreements under the Cartwright Act announced in Mailand v. Burckle, 20 Cal. 2d 367 (Cal. 1978), survived the Leegin holding. See Alsheikh v. Superior Court, 2013 Cal. App. Unpub. LEXIS 7187, *10 (Cal. App. 2d Dist. Oct. 7, 2013). See Chavez at 425-26. Id. at n.1. See generally id. 93 Cal. App. 4th 363 (Cal. App. 2d 2001). Id. at 370 (“California Courts have adopted the Colgate doctrine for purposes of applying the Cartwright Act.”). Id. The Court also held that if the Colgate doctrine applies to conduct, then it cannot be unfair under Section 17200 of the Business and Professions Code. See United States v. Schrader’s Son, Inc., 252 U.S. 85, 99 (1920). See FTC v. Beech-Nut Packing Co., 257 U.S. 441, 455 (1922) (“From this course of conduct a court may infer, indeed cannot escape the conclusion, that competition among retail distributors is practically suppressed . . . by methods in which the company secures the cooperation of its distributors and customers, which are quite as effectual as agreements express or implied intended to accomplish the same purpose.”). See R.E. Spriggs Co. v. Adolph Coors Co., 94 Cal. App. 3d 419, nn. 1, 425-26 (Cal. App. 1979) (citing United States v. Parke, Davis and Co., 362 U.S. 29 (1960)). Monsanto, 465 U.S. at 761, 768. Edward J. Sweeney & Sons, Inc. v. Texaco, Inc., 478 F.Supp 243, n. 36 (E.D. Pen. 1979). See Beech-Nut Packing Co., 257 U.S. at 454-55. See Parke, Davis and Co., 362 U.S. 29, 45 (1960). Chavez v. Whirlpool Corp., 93 Cal. App. 4th 363, 373 (Cal. App. 2001); see also Monsanto, 465 U.S. at 763-64. Thus, for example, the fact that ABB “surveys its ECP customers to find out how much they are charging their patients for each different type and brand of contact lens” does not necessarily suggest concerted action. See supra note 15. Monsanto, 465 U.S. at 763-64. Leegin Creative Leather Prods., Inc. v. PSKS, Inc., 551 U.S. 877 (2007). Id. at 924 (Breyer, J., dissenting) (emphasis in original). 528 F.3d 346 (5th Cir. 2008). Id. at 356 (“nothing in the antitrust laws prohibits an individual trader, absent an anticompetitive intent, from announcing in advance the terms on which he will deal”) (citations omitted). Id. at 367 (“The Commission concluded, and we agree, that NTSP engaged in concerted action to increase its bargaining power.”). The FTC Bureau of Competition, in a blog post, indicated that the law on refusals to deal is that a firm may unilaterally choose its “business partners.” Alan Friedman, from the antitrust mailbag: refusals to deal, FTC Blogs, Competition Matters (May 14, 2014) https://www.ftc.gov/news-events/blogs/competition-matters/2014/05/antitrust-mailbag-refusals-deal. The FTC recognized the Colgate doctrine as a “fundamental rule of federal antitrust law.” Id. Leegin Creative Leather Prods., Inc. v PSKS, Inc., 551 U.S 877, 897 (2007). See In re Nine West Group, Inc., FTC Dkt. C-3937, Order Granting In Part Petition To Reopen and Modify Order Issued April 11, 2000, at 12, 2008 WL 2061410 (May 6, 2008). Nevertheless, the notion that the FTC might avoid Colgate altogether by prosecuting RPM cases, including the disposable contact lens manufacturers, as separate and discreet Section 5 violations, without any proof of agreement, could be an open question. See 15 U.S.C. § 45 (a). But, the FTC Bureau of Competition views Colgate as good law. See supra note 110. Id. at 902, (emphasis supplied). See Continental T.V., Inc. v GTE Sylvania, Inc., 433 U.S. 36, 50 (1977). See Nw. Wholesale Stationers, Inc. v Pacific Stationery & Printing Co., 472 U.S. 284, 289 (1985).